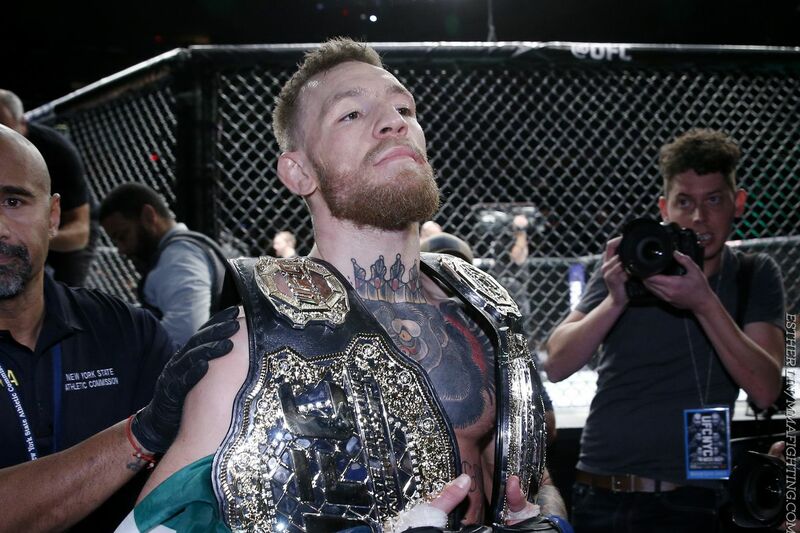 After winning the lightweight championship at UFC 205 (to go along with his featherweight belt), Conor McGregor knew that he would have options and now he’s got one more available to him. Paul “Triple H” Levesque is a multiple-time WWE champion who is also one of the most powerful executives in the company. Triple H was actually at Madison Square Garden for UFC 205 and afterwards he spoke to The Telegraph about the possibility of bringing McGregor over to the world of staged combat. This wouldn’t be a first either. Ronda Rousey is a longtime lover of professional wrestling and she made an appearance at Wrestlemania 31 shortly after she dismantled Cat Zingano at UFC 184. In fact, many suspected this was an eventuality when McGregor kicked up beef with the entire WWE roster when he declared he would “slap the head off” the entire WWE roster back in August. McGregor has even taken to using WWE CEO and owner Vince McMahon’s power walk as noted by Triple H on Twitter recently (McMahon also happens to be Triple H’s father-in-law).